This geometric shape project has a little bit of everything. 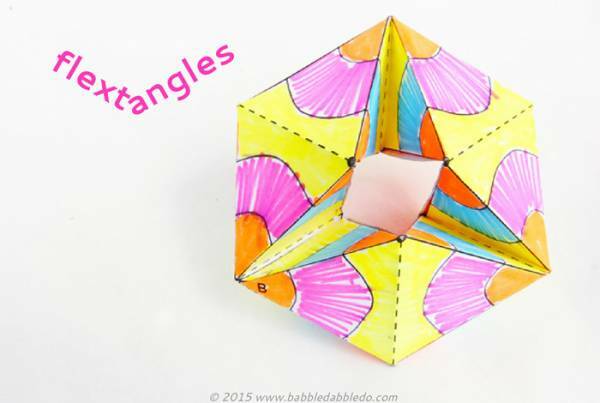 Your child will need to cut it out, color it and fold it to create a bendable flexible shape. You can print off the template and follow the tutorial here. DIY Flextangles.